The Seasonal Decaf was carefully roasted for you by Quills Coffee. 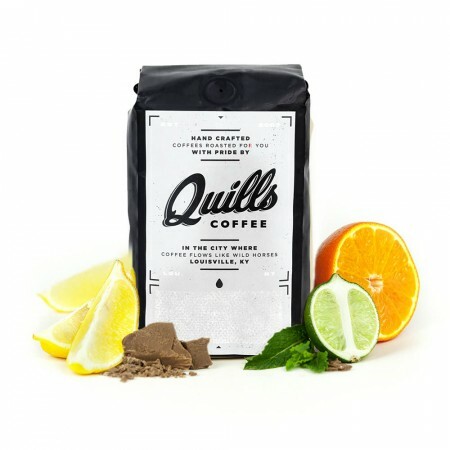 Quills' latest decaf offering comes from Sidamo, Ethiopia, where they've found a remarkably consistent, smooth decaf. We taste dark chocolate, citrus and subtle hints of berry. Its been two years since I had coffee this good. This is the coffee I have been looking for. I usually take my coffee with cream, but I drank almost a whole cup of this without anything in it. ...and I quote (my beautiful and articulate wife), "it was better than the last two." 'nough said.